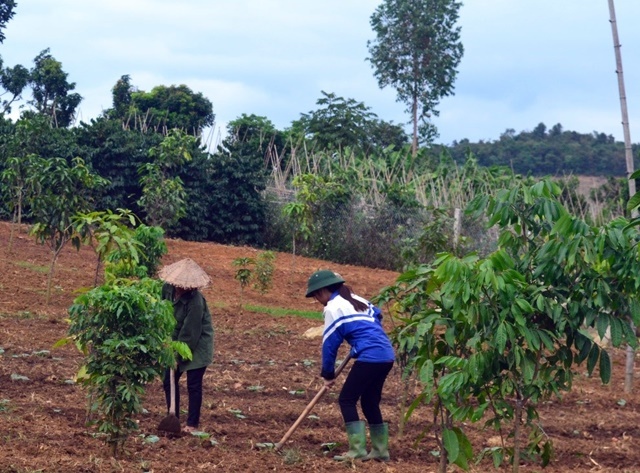 At a defining conference centred around the forthcoming ASEAN Guidelines for Agroforestry Development, participants heard that integrating more trees into farming systems will reduce greenhouse gas emissions and help farmers adapt to climate change. Agroforestry is a major component of efforts to reduce the impact of climate change on farming. The practice of integrating trees into agriculture is a long tradition in most farming systems throughout the world. Agroforestry not only helps diversify farmers’ portfolios and spread risk but also provides environmental benefits that can only come from deep-rooted perennials, including sequestering carbon. 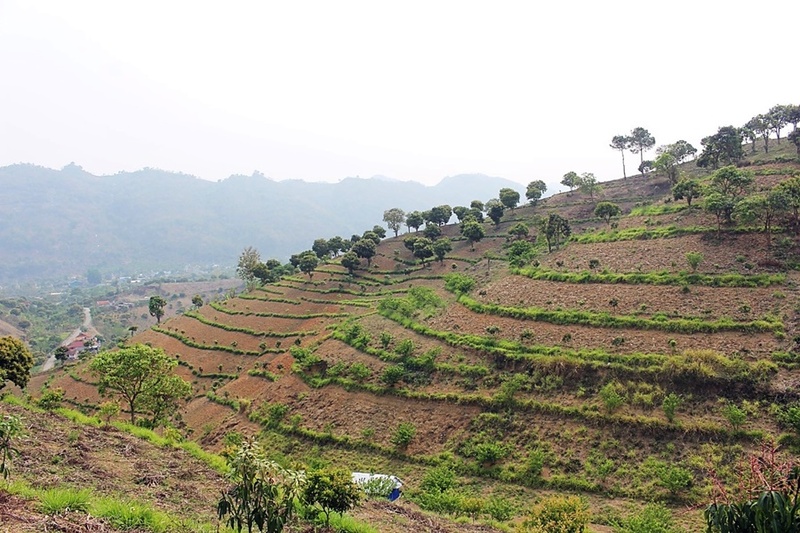 “Agroforestry is offsetting about a third of total agricultural emissions already,” said Dennis Garrity, United Nations Dryland Ambassador and former director-general of the World Agroforestry Centre (ICRAF). 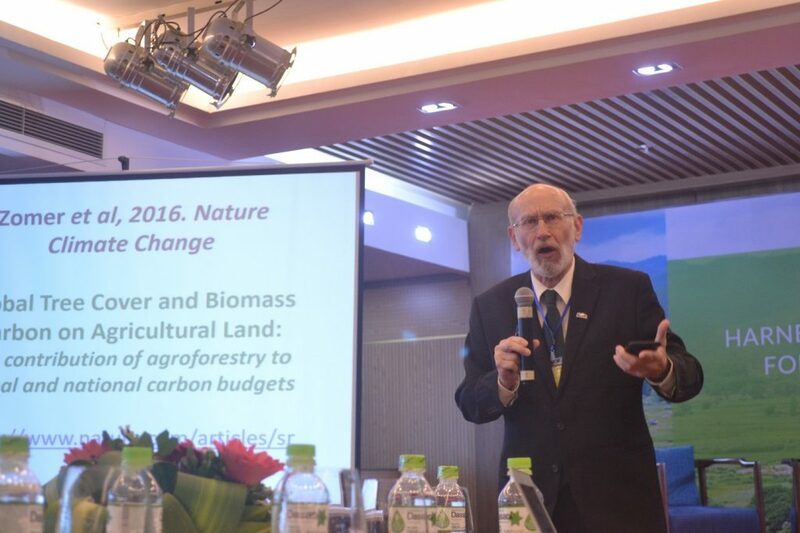 Speaking at a conference held on 26 June 2018 in Da Nang, Vietnam, Garrity claimed that this offsetting could be doubled or even tripled if barriers to the wider adoption of agroforestry practices would be removed. He championed a landscape approach in which farming systems were perennialized at an accelerated rate to achieve sustainable food production. Garrity cited the governments of some African countries that were working together with non-governmental and civil society organizations to restore their landscapes through relatively simple and inexpensive agroforestry practices. Doing the same in Southeast Asia and globally, “we could actually, for the first time, begin to seriously argue that agriculture could become emissions-neutral by 2050,” he noted. This would be a substantial achievement toward mitigating climate change and providing other adaptation benefits. For example, in Thailand, Sarinthip Promrit, program coordinator of Raks Thai Foundation, explained that types of agroforestry, such as multi-storey forest and riparian buffer zones, reduced soil erosion and the impact of drought, and increased biodiversity and ecosystem balance. Nghiem Phuong Thuy of the Vietnam Administration of Forestry and Rachmat Mulia of ICRAF Vietnam discussed the important role of agroforestry in Vietnam’s Intended Nationally Determined Contributions, adding that the economic recovery rate of farm lands planted with trees was much faster than those without. Sonya Dewi, country coordinator of ICRAF Indonesia, emphasized the role of agroforestry in ‘green growth’ or fostering economic growth and development while ensuring that natural assets continue to provide the resources and environmental services on which the people’s well-being relies. She presented the highly successful method, Land-use Planning for Multiple Environmental Services (LUMENS), which is a foresighting tool for trade-off analyses among development scenarios. LUMENS links a Regional Economics of Input-Output model with spatially-explicit, land-use and land-use-change models, taking into account institutional layers, and estimates carbon-stock dynamics or emissions of greenhouse gases, hydrological functions of watersheds and habitat loss and fragmentation. From this, a development scenario can be selected that supports economic growth and environmental protection. Various aspects of the ASEAN Guidelines for Agroforestry Development were discussed. The Guidelines were in the process of further consultation before presentation to the ASEAN Working Group on Social Forestry for endorsement the following day. These have since been endorsed by the 21st ASEAN Senior Officials of Forestry meeting, held on 12 July 2018 in Nay Pyi Taw, Myanmar. Final ratification will be made by the ASEAN Ministers of Agriculture and Forestry meeting later in 2018, speeding implementation throughout the region. Delia Catacutan, former country coordinator of ICRAF Vietnam, shared the background and contents of the Guidelines as well as potential policy actions. Representatives from member states identified country-specific needs, such as strengthening existing policies related to agroforestry and developing national agroforestry policies. All mentioned that funding was a major issue and that political commitment must be sought, intersectoral collaboration must be practised by government agencies, and farmers must be fully involved. The conference, Harnessing the Potential of Agroforestry for a Prosperous and Resilient ASEAN, was organized by ICRAF, the ASEAN Working Group on Social Forestry, ASEAN Secretariat, Vietnam Administration of Forestry and the ASEAN-Swiss Partnership on Social Forestry and Climate Change.